I had absolutely no idea what to expect before playing The Coma: Recut. I hadn’t seen anything regarding the game in the lead up to release, nor had I heard or seen anything about it when it was originally released on PC a few years ago under the title The Coma: Cutting Class. In a way, I’m glad I hadn’t, because I had no expectations going in, so what I found was a game that, had problems for sure, but none too great that it couldn’t stop me having a really fun time with it. The first thing that you will notice when you fire up the game and start playing is the wonderful and pleasing art style. It all has that specific anime style to it which I personally enjoy and if that’s your thing too then this will be right up your alley. You play as a Korean schoolboy named Youngho who, on the day of his final exam, finds out that another student took his own life at the school – which is an unfortunate and saddening problem that happens in real life. You learn that Youngho constantly worries about his grades and fancies his teacher. He then falls asleep during his exam and when he awakes, he finds himself trapped in a warped version of the school. He is not alone, as he is now being hunted and pursued by a killer, who looks strikingly similar to the teacher he fancies, Ms. Song. The gameplay is actually very simple, so if you’re not the most advanced player out there you should still be able to have a good crack at The Coma: Recut. It is presented through a 2D, side-on perspective and all you really have to do, in essence, is explore the school and every room that encompasses it to find items that help progress the story. To go more in depth, the big hook or gameplay element for this game is you are being constantly chased by the killer and she (or it?) can turn up at any given time. You don’t have any weapons or means of fighting back, you have to run or hide. Running is always a good option but when you run, you lose stamina, fast. Run out of stamina and you will end up walking at snail’s pace for a good few seconds, more than enough for the killer to catch up and finish you. So, therefore, it is always good to think where you are going to run to, and as you get more and more used to the environment and which doors lead to which rooms, you have a much better chance of survival, and this is where the hiding mechanic comes into it. Scattered around the school are cupboards and cubicles that you are able to hide in, and providing the killer doesn’t see you when you enter the hiding spot, which is usually when she’s not in the same room as you at the time, it is a surefire way to escape from the killer. Another way of hiding, but one that I only did twice during my entire playthrough, is ducking down and cowering hoping that the killer doesn’t notice you. This uses up stamina, however, which is why it is difficult to use this mechanic properly because there won’t be many times during the game where you can run away and then duck down low and still have enough stamina to last until the killer wanders off. If you have no other option and the killer is about to take a swing at you, you are able to roll out of the way, but again, that takes up stamina and a hefty chunk at that. One annoyance I had was that the button responsiveness was pretty bad. It was mainly when I wanted to open doors or hide in lockers, I’d press A (the action button) and nothing would happen. If you are running away and trying to hide, the last thing you’d want was to be caught because the game didn’t register a button press. At first, I thought it might have been my Pro Controller, but I then switched (no pun intended) to my Joy-Con attached to the console in handheld mode and it wielded the same result. It isn’t a deal breaker by any means, it can just be very annoying when it gets you killed. Encounters with the killer are random, at least that’s what it seemed like (except for a few scripted moments). The killer is more likely to appear however if you are to run around all the time or constantly using your flashlight. When the killer does appear, it is genuinely quite shocking and downright terrifying, but after the 8th or 9th time she appears, it loses a lot of its shock value. Considering that is this games big gameplay element, that is most unfortunate. Luckily, it’s some way into the game that this point occurs. Another slight problem is on the odd occasion, the killer can be stood right next to you as you travel up a set of stairs or exit out of a door and hit you before you even have a chance to do anything about it, which felt a little bit unfair. Because The Coma: Recut is a text-heavy game, some might be put off. Not only do you have to story to follow along with, but you are also able to pick up a lot of randomly placed notes that give you a much deeper understanding of the backstory. So if that’s your thing then great, just don’t expect it to fully explain a lot of what’s happening because even after finding all of the notes and finishing the game, there are still things left unexplained. I have already touched on the presentation earlier in the review but the music and sound design are also superb too. It’s creepy, unnerving and chilling. Couple that with the faint sound of footsteps down the corridor that tells you the killer is nearby, it really is a horrible feeling, but in the best way possible. I often find that horror games that give you no way of fighting back are more true to the nature of what a horror game should be. If I am able to fight back then some of that horror escapes, because I know I have a way of getting out. That’s what this game does so well, you can run, but do you know exactly where to run in order to escape? 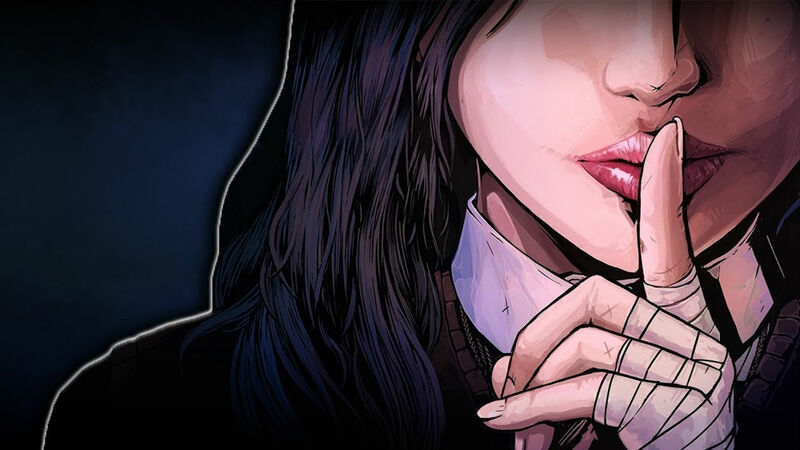 Ultimately, The Coma: Recut’s biggest problem might be that it is a bit too simple in design and maybe having a few other gameplay elements would have pushed it a level higher. But in the end, I never expected to like it as much as I did and I thoroughly enjoyed my five or so hour playthrough. With a sequel teased, I’m eagerly awaiting what is to come because they have a base already there to make something truly wonderful.